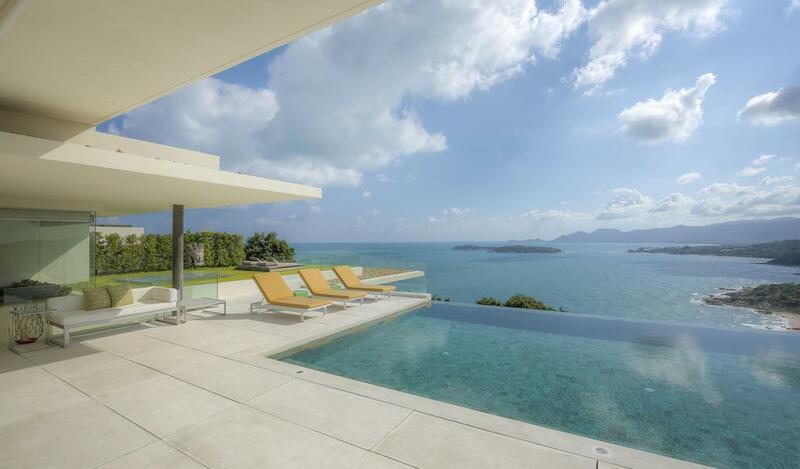 Villa 4402 is conveniently located in the peace and tranquility of Maenam Hills and offers luxurious living . 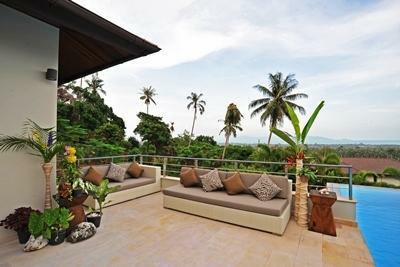 Set in well manicured, tropical gardens, the villa lends itself well to families and large groups. The entrance to the villa is adjacent the covered parking space for up to five vehicles. You are greeted by a Buddha statue that sits majestically in front of a dramatic red backdrop. 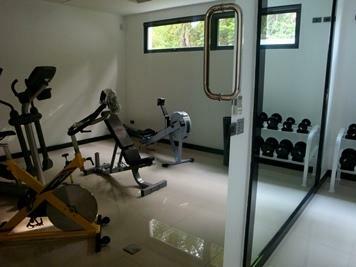 A few steps lead up to the first floor where there are three well appointed guest bedrooms. The pink bedroom has comfortable twin beds, contemporary gloss black vanity units, a useful office area, ample wardrobe space and an attractive black and grey en-suite bathroom. A long corridor leads to the green bedroom that has twin beds and black cotemporary furnishings. This room has garden and sea views and, like the pink room with a black and grey en-suite bathroom. 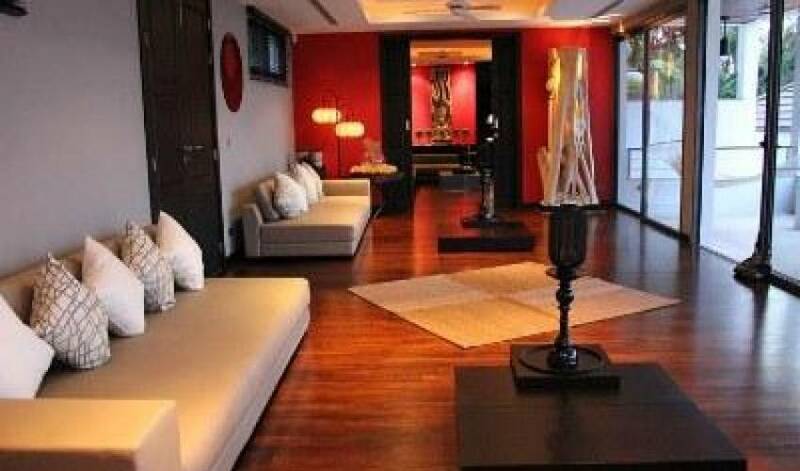 The third bedroom on this floor, the red room, has a contemporary, black, four poster king-size bed, ocean views, ample wardrobe space and attractive furnishings and an en-suite bathroom. On the next level double doors open onto a large games room that has a pool table, attractive antique wood artifacts and a gym. 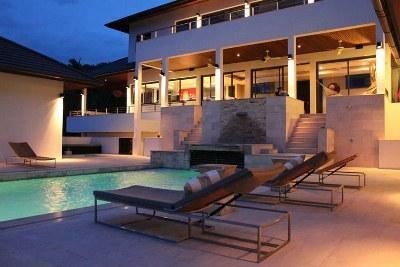 A few stairs to the side of the double doors lead to the living and pool area. The living level has a modern fully fitted western kitchen includes a central island. There is a large American- style double fridge, a built in SMEG microwave and oven, a breakfast bar and a filter system that makes the tap water safe to drink. The kitchen has spectacular ocean and swimming pool views and a patio door that leads onto a beautiful dining area that has ocean and pool views to the left and a view of the 10th hole and the 11th tee of the Santiburi Championship Golf Course. The large hardwood dining table is set in an open-sided area just off the kitchen and can comfortably seat up to 10 diners. There are also high chairs provided for young children. Beyond the kitchen is the open plan living area that has been tastefully furnished with sumptuous contemporary sofas and interesting artifacts. 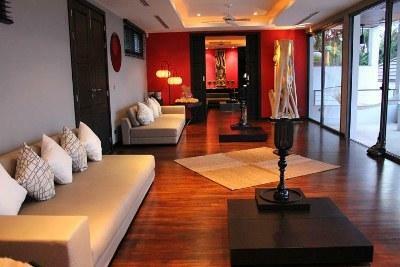 The room has air conditioning and hardwood floors and ocean and pool views through the glass patio door walling. 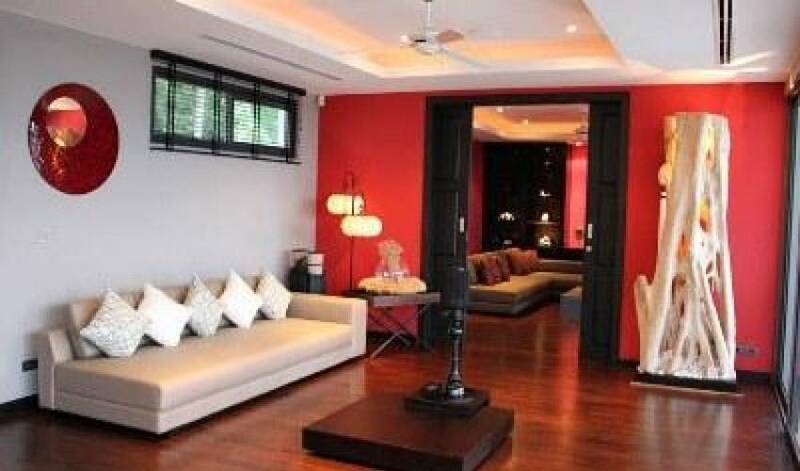 Beyond this living hardwood double doors lead to a private lounge/TV room that has red walls and stylish arts and ornaments. This room has an office area with desk and computer, a flat screen TV, surround sound, iPod docking station and a DVD player. 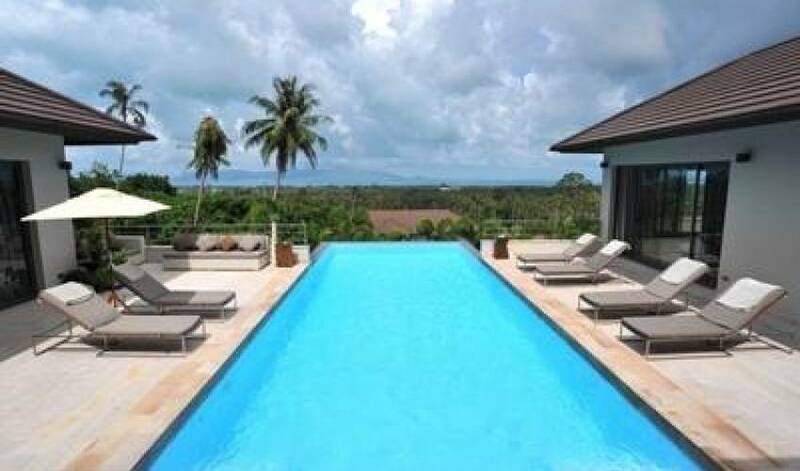 The room has air conditioning and views over the pool to the ocean beyond. The north facing pool terrace offers both sunny and shaded areas throughout the day as well as comfortable sun loungers that feature hydraulically operated back rests. Two outdoor showers are located around the pool. 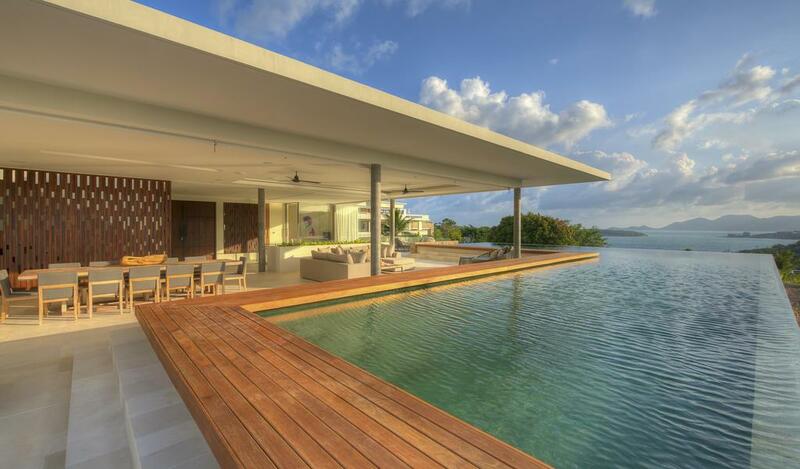 Either side of the pool a further two bedroom pavilions. The bedroom to the right of the pool has a centrally positioned bed that has incredible ocean views behind which is a useful office desk. This attractively decorated blue room has contemporary white wardrobes, a tea and coffee making area, a mini fridge and a twin sink shower room with WC. 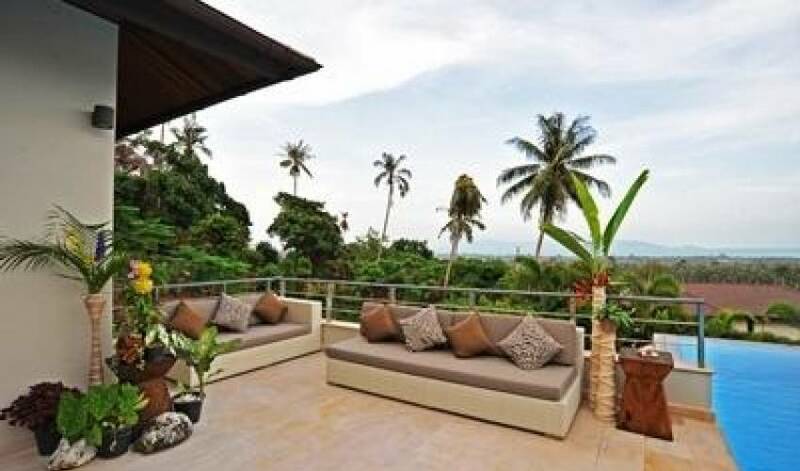 The room on the opposite side has an attractive outdoor living area with comfortable sofas and superb views. There is another large and comfortable sofa inside the room that features a stylish luxury four poster bed. The room has hard polished wooden floors, a large wardrobe, a mini fridge, tea and coffee making facilities a twin sink en- suite bathroom and a luxurious topical outdoor bathing area with a large bath tub and a twin regular and rain shower that overlooks the 10th hole of the golf course. Beyond this room is a further guest WC and steam room and a child gated set of steps that lead back down to the games room and staff living quarters beyond. The kitchen, living area and TV lounge have Wi-Fi, surround sound that also services the pool and terrace area and Futronix lighting systems. The pool, garden and outdoor mood lighting is on a timer that runs from 6pm until midnight. 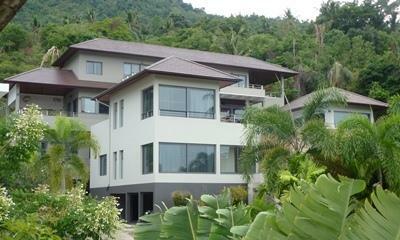 The top floor of the villa is home to the huge master suite which is available to rent for an additional cost. This suite has two large private terraces that overlook the pool and the ocean, a king sized bed and a comfortable living area. There is also a useful office area, a dressing room and a beautiful twin -sink bathroom with a feature bath tub and shower area that again offers ocean and pool views. In the gardens you will find chili plants, banana trees, pomello trees, herbs and shrubs, all of which can be picked fresh and used in your cooking. The villa exudes a feeling of contemporary elegance and offers luxury, privacy and is within easy reach of local shops and restaurants as well as Maenam Beach which is good for all year round swimming. 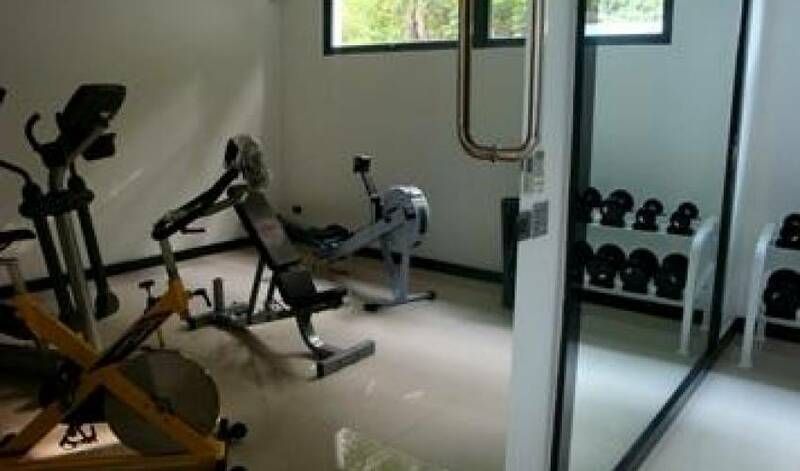 Located 5 minutes from the beaches and restaurants of Maenam and 25 minutes’ drive from the airport. Rates are in per night in USD and subject to 10% service charge and 7% tax. There is a minimum 3 night stay requirement in Intermediate and High Seasons, 5 nights in Prime and 7 nights over Xmas/NY.